Deciding where to host a blog is a huge decision for many individuals and business owners. Some people prefer to look after their own blog, while others prefer to publish on a third party platform like Facebook or Medium. Below are some of the main things you should consider before you decide to move your blog to Facebook or Medium. Running a self-hosted blog can be expensive. You have to factor in development costs and a range of other fees associated with running a blog. The latest third party platforms are free, which means you can focus on creating high quality content and marketing your blog, without having to worry about the financial outlay required when setting up and running your own blog. A lot of time and effort goes into building a successful blog. Your own blog is always at risk of being hacked and it may not be as secure as it should be. Platforms like Facebook and Medium are much easier to use and extremely secure. A large number of blog owners prefer to do their own thing and don’t want to be dependent on any third party. The more control you have over a blog, the more you can manage it better and make more informed decisions about the future of your blog. For example, when you host your own blog you can customise it to suit your exact preferences. The data produced from your own blog is readily available too, which tells you a huge amount about blog visitors, which is not always available from third party blogging platforms. When you use Facebook or Medium, you have to follow certain rules. This can prevent a blog owner from expressing themselves in the way they want to express themselves and adding the content they would like to publish. If you break any of these rules, you may attract negative attention and even lose your blog. These rules don’t apply when you have your own blog on your own domain. An established blog can become extremely valuable over time. Some self-hosted blogs have sold for millions of dollars. This is why it’s important to carefully consider where you publish your content. It is particularly important for businesses because a blog should be viewed as an asset the business owns. This is not the case with blogs hosted on third party platforms. Internet traffic is the lifeblood of any blog. However, it can take a long time for a blog to build momentum and generate large numbers of website visitors. Platforms like Facebook and Medium already have huge numbers of visitors, which means you can piggyback off their success by creating a blog on either of these websites. The people who use these platforms are accustomed to the way content is delivered to users, which means you have a ready-made audience just waiting for you to publish high quality, useful content. Different blog owners have different requirements, so you should think carefully before choosing to move your blog to Facebook or Medium. Taking into account each of the factors above will help you make a more informed decision. 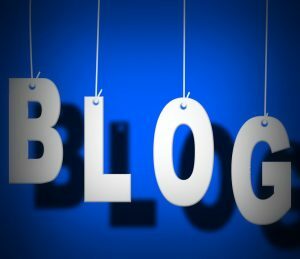 Why move a blog? A lot of people repost articles from their existing blog to Medium. It’s a good way to repurpose existing content to reach a new audience and build another following.